Over the 12 months to August the most expensive 25% of properties recorded the greatest value growth. CoreLogic Research Analyst Cameron Kusher said the most expensive properties have typically been hardest hit during housing market downturns, while more affordable dwellings have been more resilient. Over the past 30 years -- August 1987 to August 2017 -- dwelling values across the most affordable 25% of properties rose by 1,517% compared to increases of 580% across the middle 50% of suburbs and 432% across the most expensive 25% of suburbs. 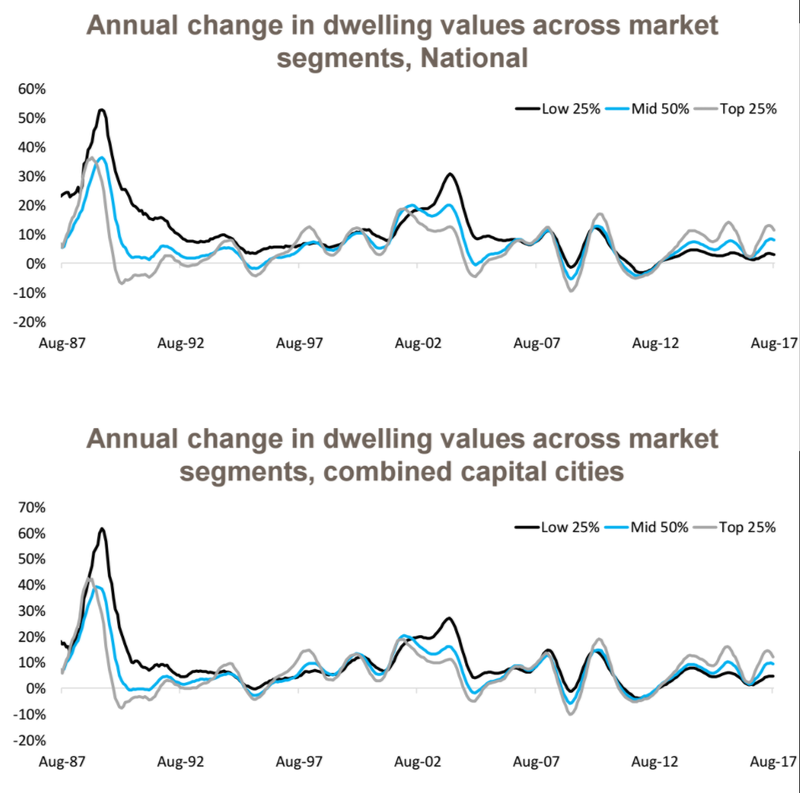 “This highlights how affordability has deteriorated substantially at the more affordable end of the housing market,” Kusher saidValue changes across the three broad segments throughout the combined capital cities showed that over the 12 months to August 2017, the most affordable 25% of properties have recorded growth of 4.6% compared to 9.3% growth across the middle 50% of properties and a 12.2% change across the most expensive 25% of the market. CoreLogic noted that in the event of a housing market downturn it was the more expensive housing which has tended to see the greater value falls. 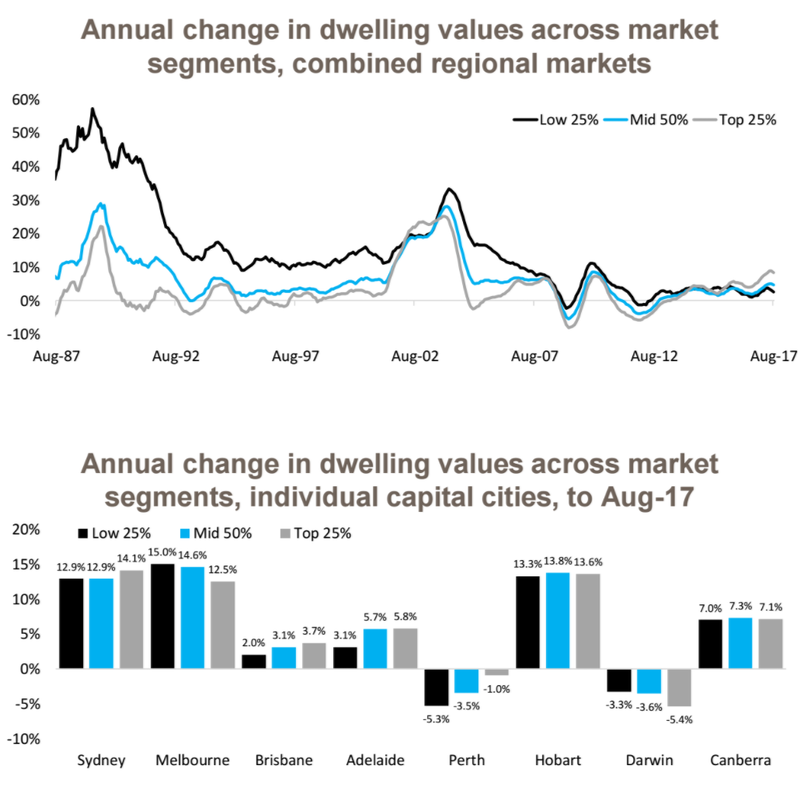 Across Australia’s regional housing markets for growth performance, the change in values was more moderate over recent years than that across the capital cities. Over the past year, the 25% of most affordable properties in regional Australia have recorded value increases of 2.5% compared to a 4.6% change across the middle 50% and an 8.4% increase in the most expensive 25% of properties. “Growth in the affordable segment in regional Australia over recent years has been the strongest performed suggesting that demand has been for more affordable housing," Kusher said. "However, as the regional markets have picked-up over the past couple of years. It has been the top 25% of suburbs that have outperformed. "This is likely to indicate demand for luxury housing outside of the capital cities has risen." Melbourne and Darwin were the only capital cities to record the greatest change in values over the year across the most affordable suburbs and the slowest growth across the most expensive suburbs. For all remaining capital cities, either the middle 50% of suburbs or the top 25% of suburbs have recorded the fastest rate of value growth over the year. “Melbourne has a significant competitive advantage over Sydney in terms of being able to offer more affordable housing and the data seems to suggest that lower priced housing is a big driver which has led to a surge in values across the lower and also middle segments of the market," Mr Kusher said. 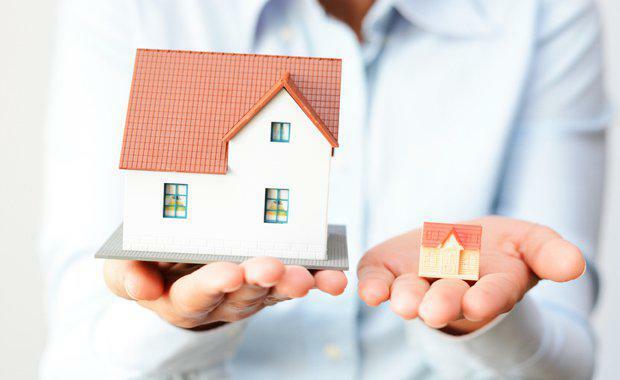 “If the current housing market slowdown continues and turns into declines, watch for whether the most affordable sector of the market is relatively stronger performed than the more expensive segment. "With record high levels of household debt and significant first home buyer incentives over recent years the trends in a future downturn could be different to what has been seen in the past."